Jesse Williams has been separated from the wife he is now divorcing for more than a year, and he's been hanging out recently with Minka Kelly. TMZ broke the story ... Jesse filed to end his 5-year marriage to Aryn Drake-Lee ... they've actually been together for 13 years. They have 2 children, the youngest is a year old. As for Minka, they're shooting a video game/movie in Paris and have been seen both on and off set for the last few months, but no one's saying if it's anything more than a friendship. 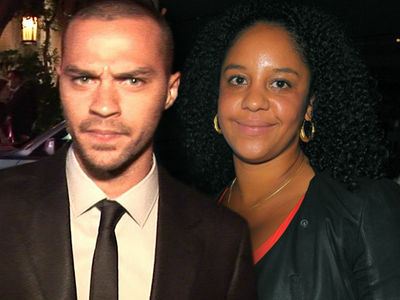 A lot of Jesse's fans are upset he's moving on, but a source connected with the couple tells TMZ ... as far as Jesse's concerned, the relationship has "played itself out."